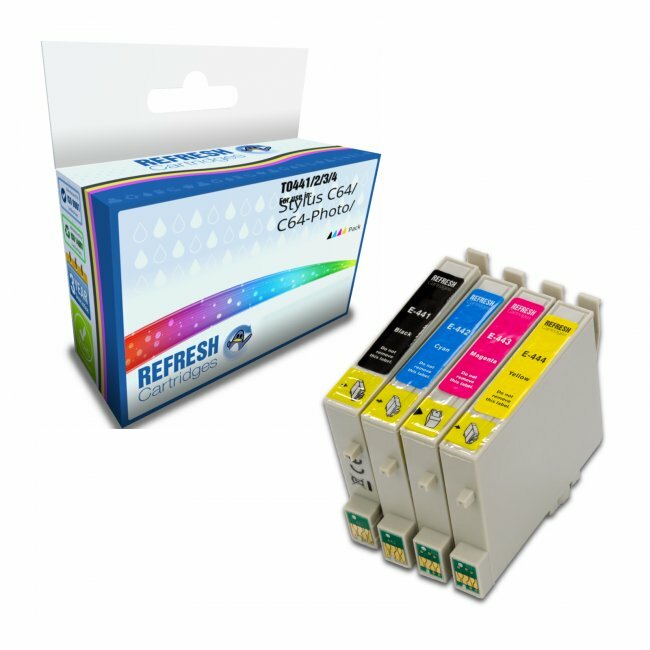 This Epson remanufactured multi-pack includes the T0441 black, T0442 cyan, T0443 magenta and T0444 yellow cartridges, if you¯¿½re looking for fantastic quality prints but at a much lower price than the original Epson cartridges look no further. 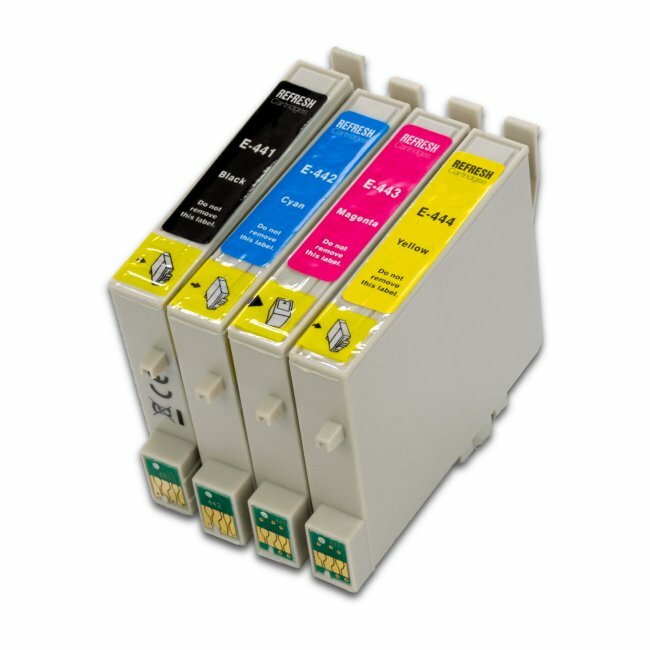 This valuepack include four cartridges in total, the T441 black, T442 cyan, T443 magenta, T0444 yellow and includes every cartridge you need to run your printer. 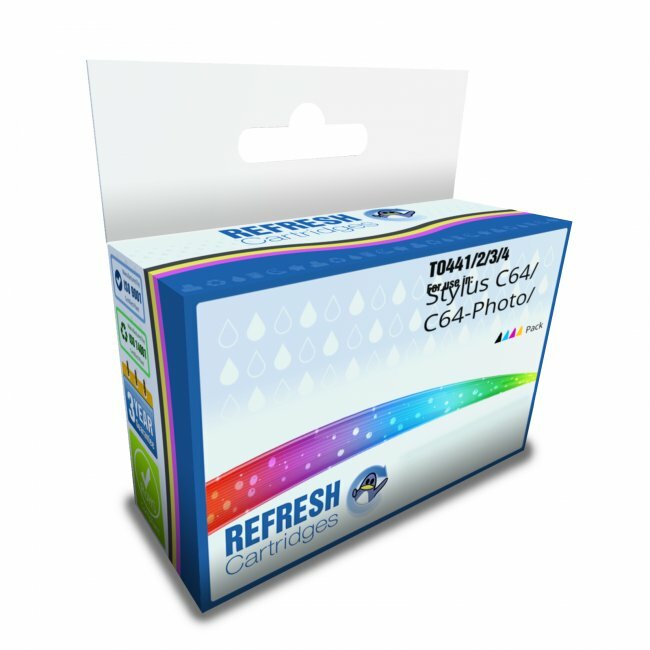 You can find individual cartridges and other products for your printer by selecting your printer model number in the list below.